Our product range includes a wide range of school erp software. The advantages of school management system serve everyone involved in the academic process: the administrators who oversees the school operations, teachers, students, staff, parents who anxiously awaits for the completed project and the staff which gets the processes up and running. School ERP software provides a set of tools - a roadmap if you will, that enables school administrators to smoothly run the institution and do so in a way that demonstrates efficiency, cost-savings and ingenuity. It is a lot easier to imagine what some of the benefits of school management. 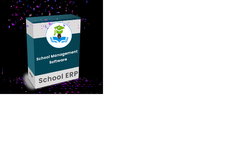 Looking for “School ERP Software”?